Keep your keys safe and silent with our supple , press stud fastening case. Holds up to 6 keys with ease. Availability: This product is not available. Handmade in the very finest luxury Italian calfskin. 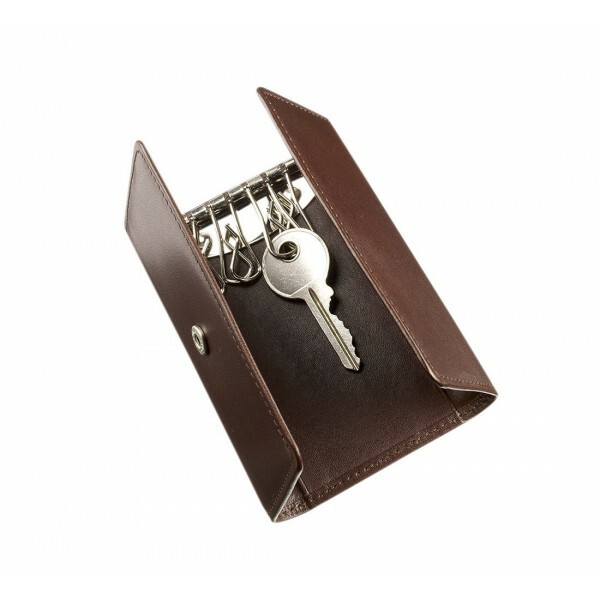 Featuring six metal key hooks and two small multi purpose pockets. Folds with a secure fastener. Fully lined in silk. Comes gift boxed. Approx. 10.5cm x 6cm. 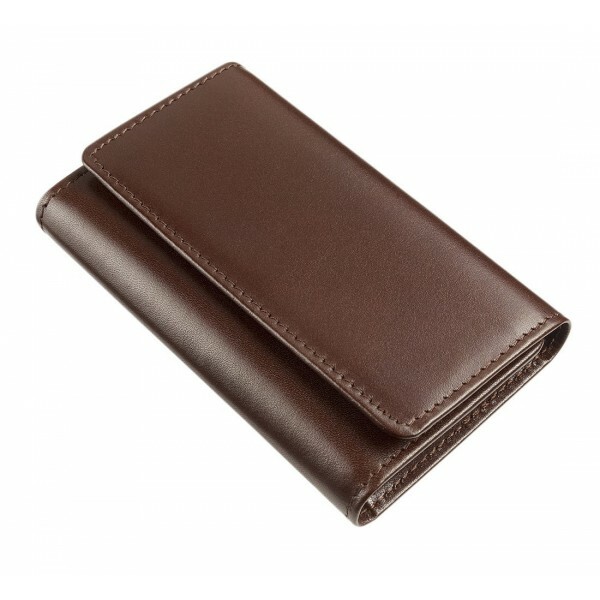 The perfect standalone present or mix and match with our range of Italian leather goods all in the same rich dark chocolate brown.